Wood You Believe We Finally Got Sap! Today we got a nice run of maple sap. We gathered over 600 gallons, finishing just before dark. The days ahead look good. Even though our season is later than usual, it is finally starting to kick into gear! 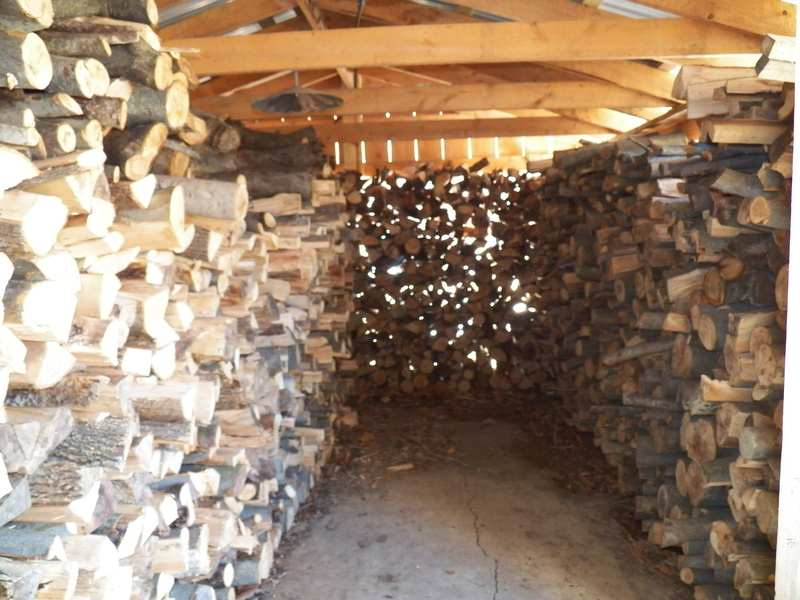 The wood shed is starting to go down and will need filling by seasons end, but it’s holding out well for now. The horses are a little soft from our extreme winter and lack of hard work. They are taking it in stride so far. I give them plenty of breaks and extra feed. I worry some about the first big maple sap run on a warm day. They still have their winter coats on. No shedding in sight. I suppose it will be like the sap, slow at first then “bam” off it comes. Those warm hairy days of spring are coming. I eat plenty, spit out as much as possible and curry comb till my arms hurt. It’s worth it. The horses are grateful and bonding comes easy during that time. Now, I mostly just clean manure and mud from their coats, but soon all that dead hair will be falling out….yep spring!